The American Craft Council (ACC) Library is currently seeking a bright, enthusiastic, and dedicated intern to work on a grant-funded digitization project under the supervision of the ACC librarian. The primary responsibility of the intern will be assisting the librarian in selecting, and preparing for digitizing, the artist file materials within a large donation from the library of the Friends of Fiber Arts International. In addition, the intern will be responsible for organizing materials and writing metadata using the library’s content management tool (CONTENTdm). The internship is a great opportunity to experience working with visual collections within an art research library. As a program of the American Craft Council, the Library maintains a comprehensive collection of print and visual materials on American craft with an emphasis on the period since 1940. Containing over 20,000 books and exhibition catalogs, 700 bound volumes of leading periodicals, over 3000 artist files and an accompanying database, the Library is also the repository of the Council archives, including those of the Museum of Contemporary Crafts/American Craft Museum (1956-1990). While focused on modern craft, the collection also supports research in the related fields of design and applied and decorative arts. The Library is located in NE Minneapolis, and is open to the public Monday-Thursday, 10am-5pm, and Friday, 9am-4pm. Assist in the selection of materials for digitization from Friends of Fiber Arts and ACC artist files. Prescribe metadata and manage content in the ACC’s CONTENTdm digital repository. Make use of controlled vocabulary resources to enter data into the important subject data fields. Scan images to file and make adjustments as necessary using Photoshop. Execute proper care and storage of materials. Communicate regularly with librarian as to concerns, issues and progress on tasks. Assist with answering reference and research questions as needed. Junior or senior in an undergraduate or graduate level library science, museum studies or art history program, or a recent graduate. Experience using controlled vocabularies and/or tagging in data creation. Preferred coursework in archival studies and/or experience working in an archives or library setting. Familiarity or experience with CONTENTdm or other digital asset management system. Careful attention to detail and strong organizational skills. Preferred interest or background in contemporary craft and craft history. The American Craft Council (ACC) Library is currently seeking a bright, enthusiastic, and dedicated intern to work on a grant-funded cataloging project under the supervision of the ACC librarian. The primary responsibility of the intern will be cataloging a large donation of books and exhibition catalogs from the library of the Friends of Fiber Arts International. The Friends donation includes nearly 200 titles unique to the ACC library collection. The cataloging intern will enter these new holdings through OCLC Connexion, and upload the records into the ACC library catalog (Koha). This is a great opportunity to experience cataloging of exhibition catalogs and books on the field of contemporary craft within an art research library. Select bibliographic records through OCLC Connexion. Upload bibliographic records into Koha, following prescribed standards of the ACC library. Make use of controlled vocabulary resources and LC classification resources to refine bibliographic records. Process items by adding copies to the library catalog, barcoding and making items shelf-ready. Communicate regularly with ACC Librarian as to concerns, issues and progress on tasks. Assist with answering reference and research requests as needed. Must be currently enrolled in or a recent graduate of an MLIS program, or have significant experience in bibliographic cataloging. Coursework in bibliographic cataloging as well as familiarity and experience with OCLC Connexion and/or Koha cataloging systems preferred. Experience using controlled vocabularies preferred. Interest or background in contemporary craft and craft history preferred. 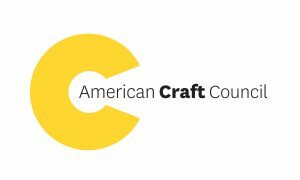 The American Craft Council is a national, nonprofit organization cultivating a culture of making. We believe in a world where everyone is inspired to live a creative life. We support professional makers through our unique shows. We provide educational opportunities, including a one-of-a-kind library, conferences, public lectures, and student programs. Our national awards elevate emerging artists and honor masters. We promote the handmade through our robust, member-driven website and our award-winning American Craft magazine. The American Craft Council is an equal opportunity employer and does not discriminate against any employee or applicant on the basis of age, color, disability, gender, national origin, race, religion, sexual orientation, gender identity, veteran status, or any classification protected by federal, state, or local law. We value diversity, inclusiveness, and equity and welcome candidates from all walks of life. This internship opportunity would not be possible without the generous support of our sponsors. The American Craft Council would like to thank both the Friends of Fiber Arts International and the Minnesota State Arts Board for their contributions. Travel award applications for the 2018 ARLIS/NA Annual Conference are open!